QE Scholar Ndeyapo Nickanor is from the University of Namibia and is spending her scholarship at WLU and the Balsillie School of International Affairs working on food security in Namibia. 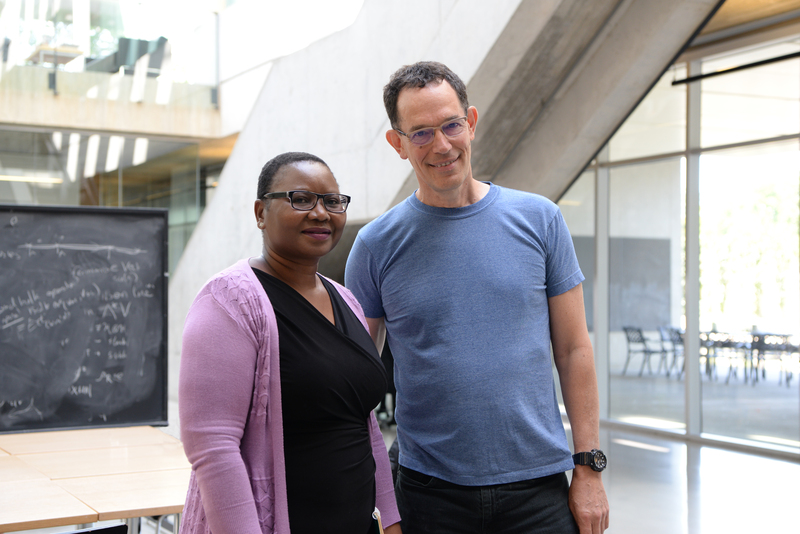 She recently met with Neil Turok in order to further relations between her home institution and the African Institute for Mathematical Sciences (AIMS) initiative, founded by Professor Turok. AIMS is a pan-African network of centres of excellence enabling Africa’s talented students to become innovators driving the continent’s scientific, educational and economic self-sufficiency.